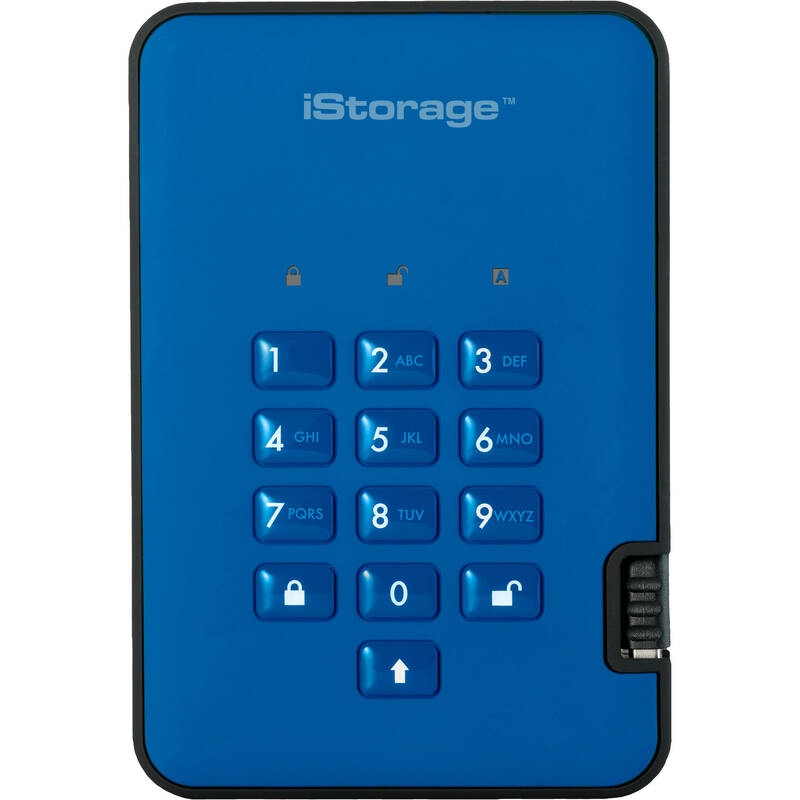 Guard your sensitive data from prying eyes with the ocean-blue 128GB diskAshur2 USB 3.1 Encrypted Portable SSD from Istorage. Featuring real-time AES-XTS 256-bit hardware encryption and PIN authentication, this portable USB 3.1 SSD keeps personal and corporate data safe while offering fast read and write speeds of up to 294 and 319 MB/s respectively. 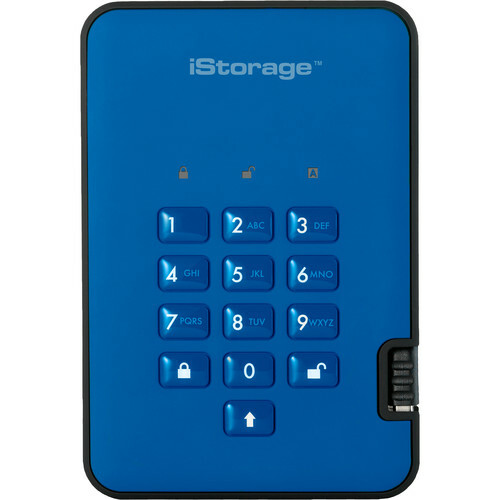 The diskAshur2 SSD's easy-to-use keypad enables you to securely access your data with your own unique 7- to 15-digit PIN.